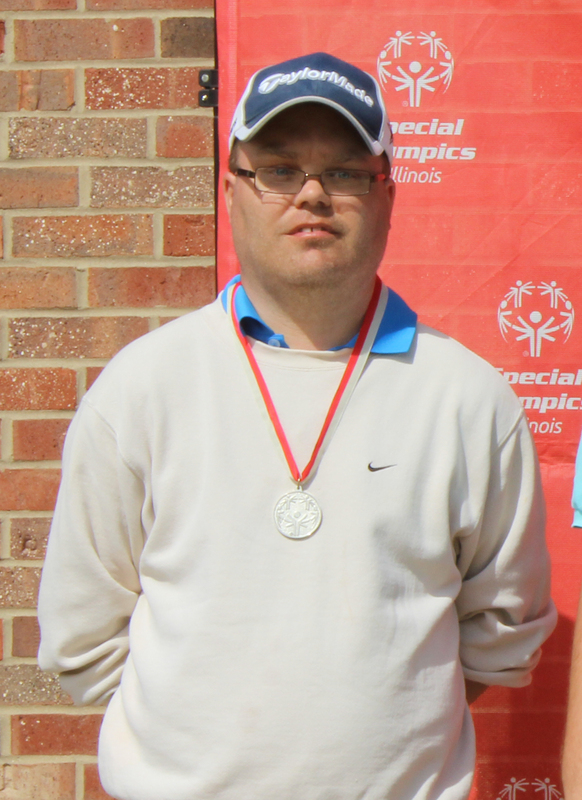 Brian Trickett of Lawrenceville competed in golf at the Special Olympics Outdoor Sports Festival in Decatur, but this year, something has been missing. 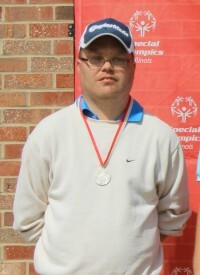 In July, Brian qualified to advance to the Outdoor Sports Festival in 9-hole golf. Making it to the state competition is bittersweet – this year was the first time Brian’s father was unable to be his caddy. Brian has had his father, Jeff Trickett, as his coach and caddy for 16 years. 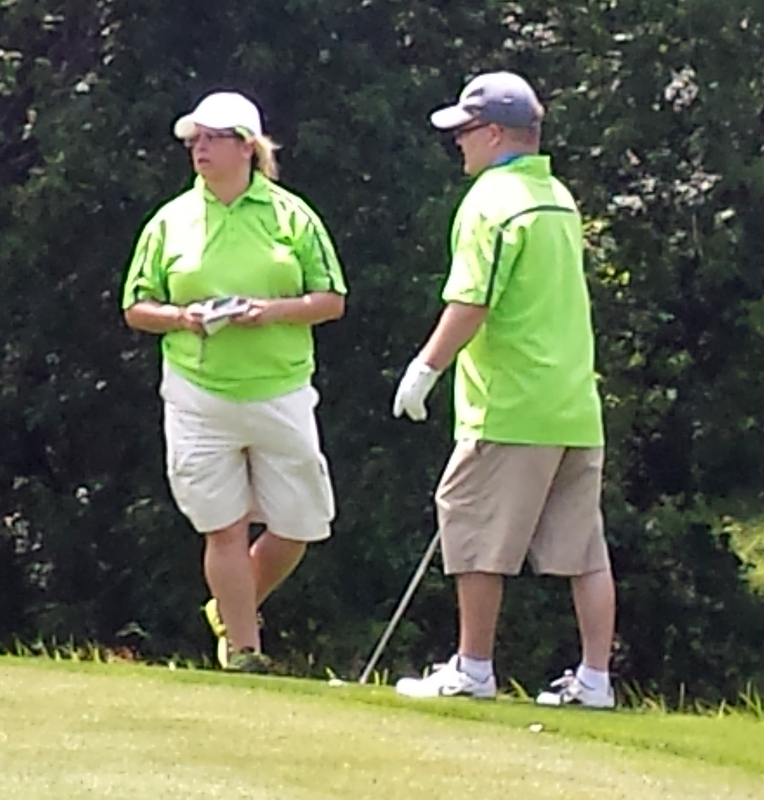 Due to some health complications, Jeff was unable to accompany his son on the course this year. 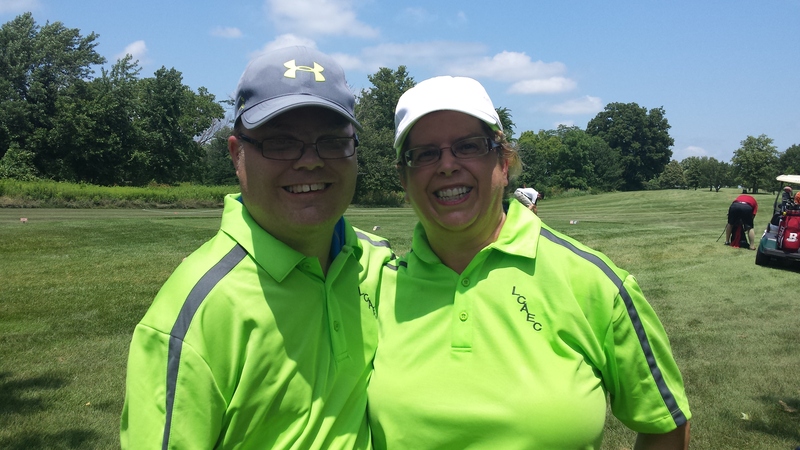 The first person to step up as caddy was Janice Zwilling, the head coach at Lawrence/Crawford Association for Exceptional Citizens (L/CAEC) where Brian participates in Special Olympics. Janice has been a coach with Special Olympics since 1999, starting out as an L/CAEC assistant coach and becoming head coach in 2013. 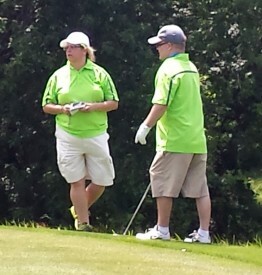 This is the first time Janice has caddied for an athlete. Janice and Brian try to practice once a week for the upcoming event. They play nine holes at every practice. She has been Brian’s coach in other sports, but has seen firsthand how difficult it can be for Brian when his father is not there. Brian has participated in volleyball, basketball and bowling in the past. His father was always there cheering him on. Jeff would love to help his son on the course and Brian would love to have him there. However, Brian is no stranger to being independent. He lives in his own apartment, and has a full time job with L/CAEC workshop. Brian calls his dad daily to tell him about his day. Despite not being able to make it to the competition this year, Jeff was looking forward to the phone call after Brian and Janice finished with their rounds to hear how his son played. Brian made his father proud by earning a gold medal in 9-hole golf! Athletes participated at the Special Olympics Outdoor Festival in Decatur on Sept. 12 and 13. Golf took place at Hickory Point Golf Course in Forsyth. Softball competition was at Rotary Park in Decatur.